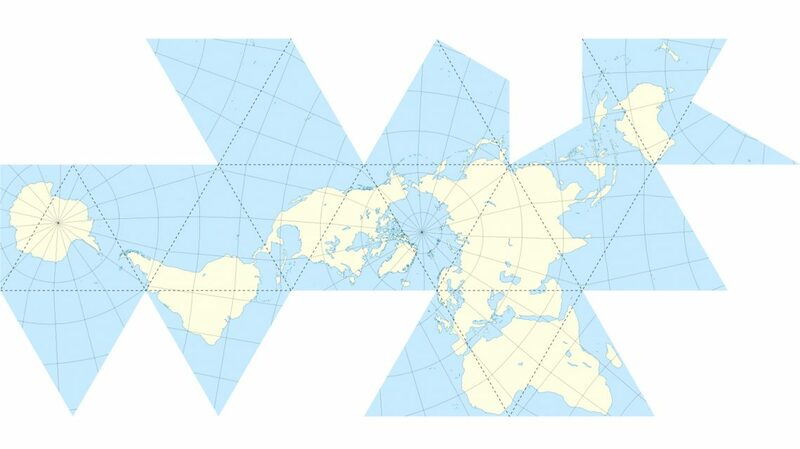 Buckminster Fuller created in 1954 a precise projection of Earth, with the North Pole as the central reference. He minimized the deformation of the continents applying a triangular net projection (specially precise if compared to the Mercator projection), simplifying the sphere into an icosahedron. 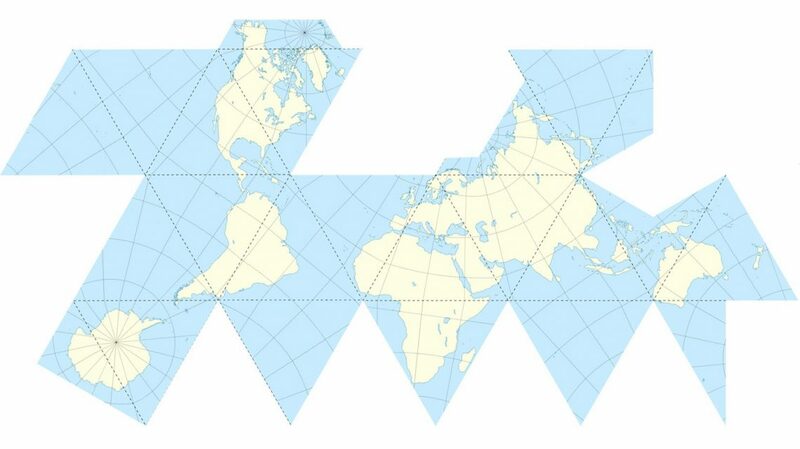 The Dymaxion projection was meant to have different possible trims. This new version proposed is accepting the common orientation of North-South and the continuity of the tropic of Cancer.In this way, we obtain a more recognizable plan by the viewers, used to traditional projections. Also the deformation of the continents is minimized, resulting a more proportionate and understandable plan.